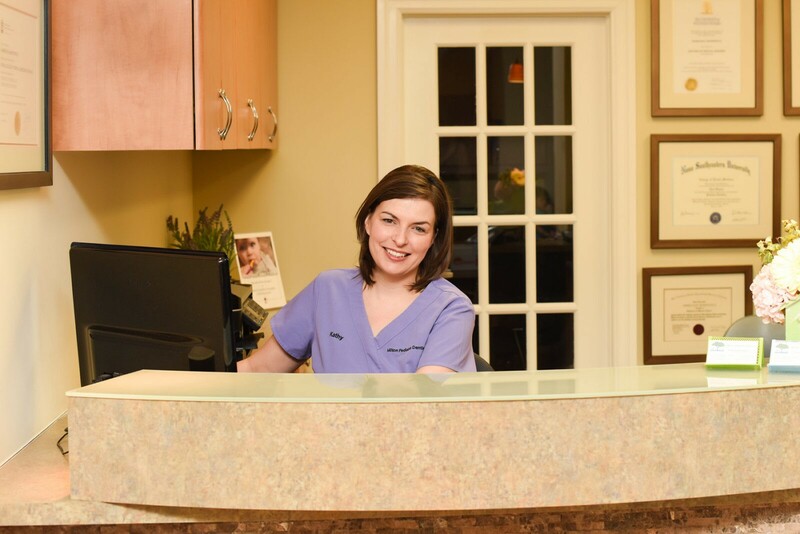 To book your first appointment or ask a question, contact us. 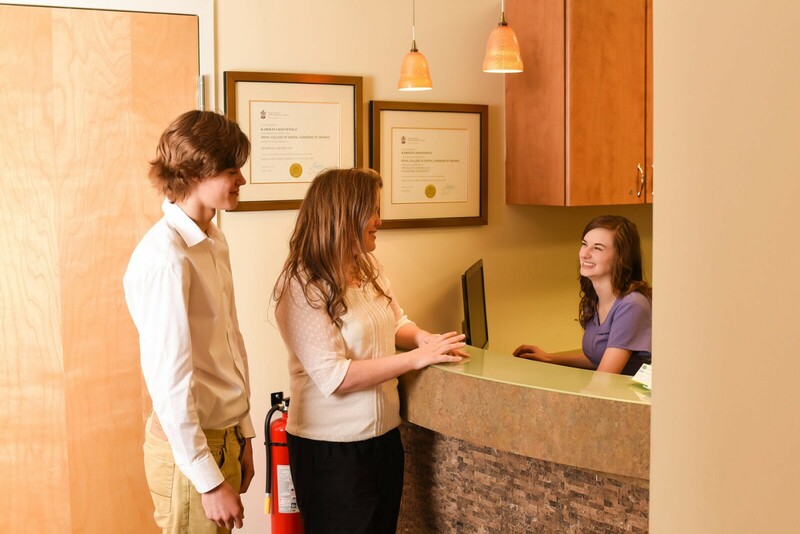 From the moment you walk into our office with your child, a caring and personable staff will greet you. 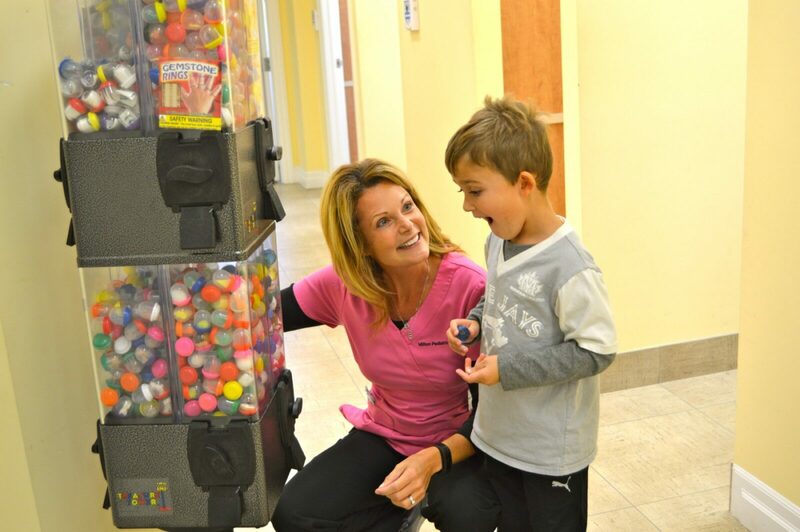 A movie is usually playing, and plenty of toys are available for the little ones. 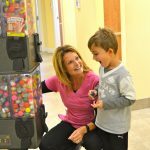 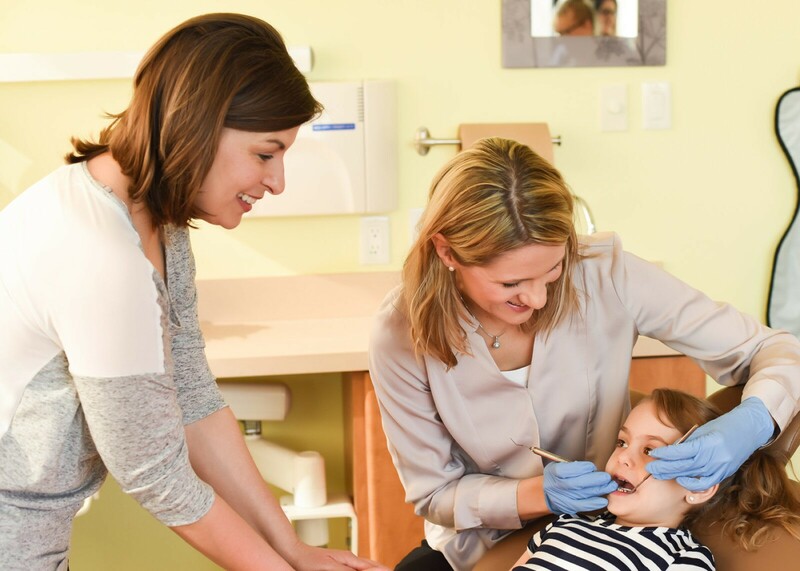 After completing a health questionnaire you will be asked to proceed into the clinical area where a smiling face will greet you and your child. 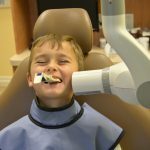 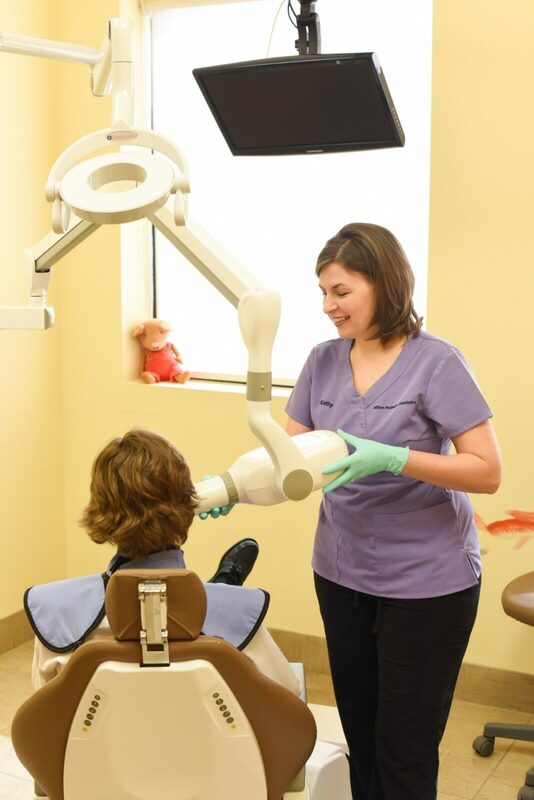 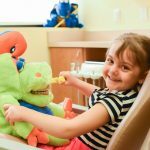 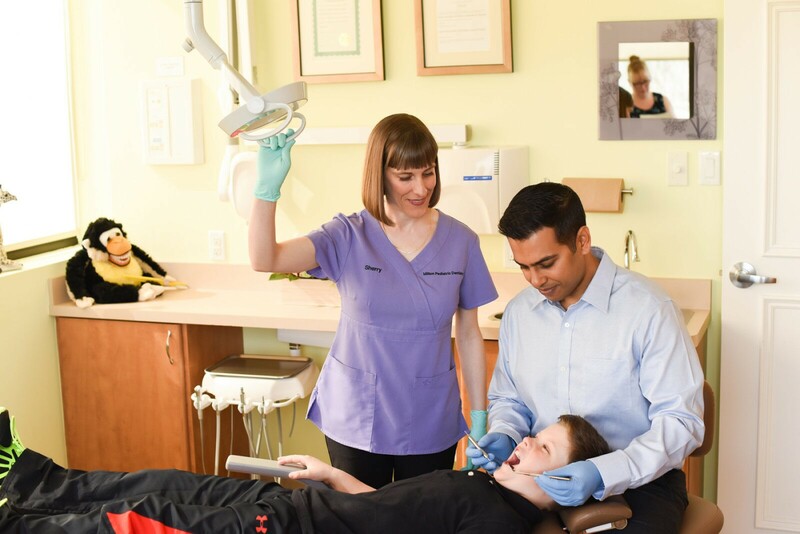 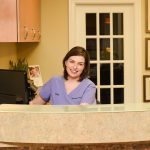 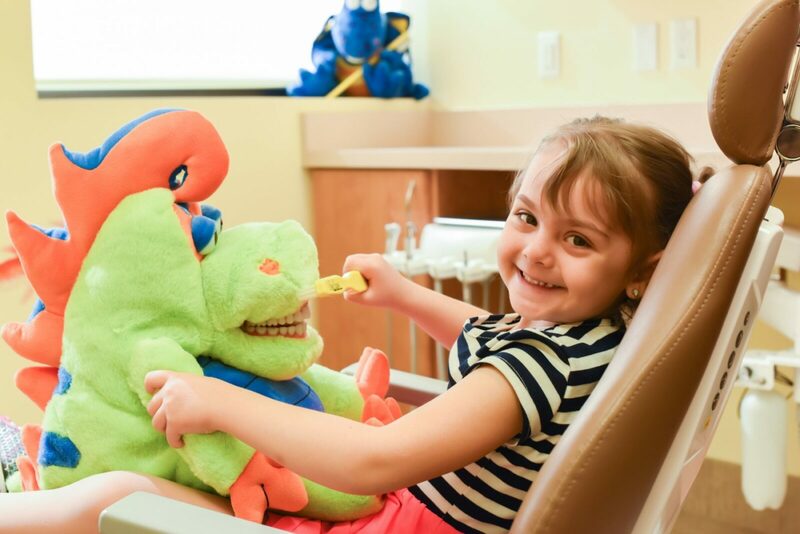 The entire Milton Pediatric Dentistry Team will strive to ensure that your child will have a happy and positive visit. 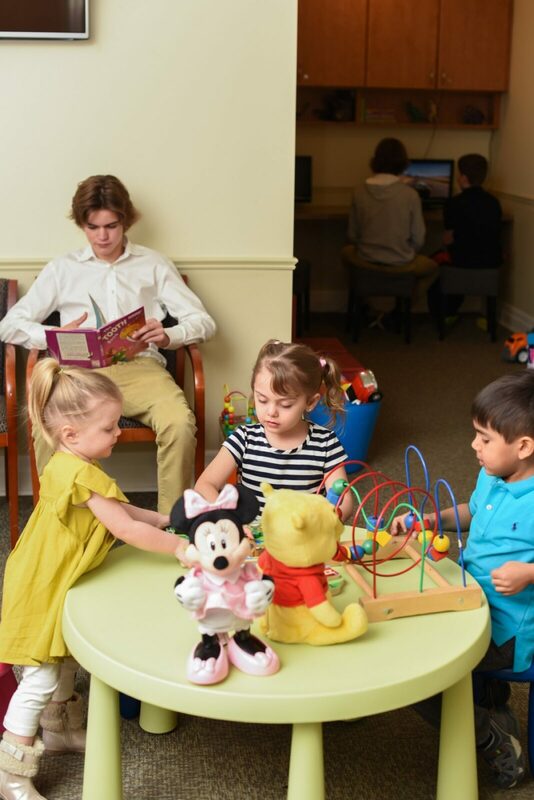 Young or nervous children can stay on their parent’s lap for exams. 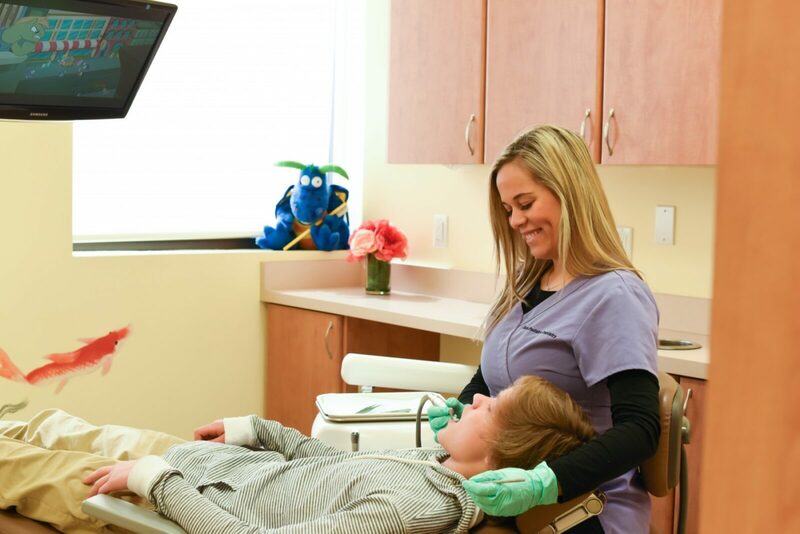 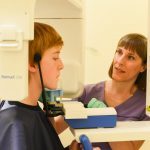 Many children and teens experience some type of anxiety in a dental office or new environment, they are spoken to with kindness, respect and empathy. 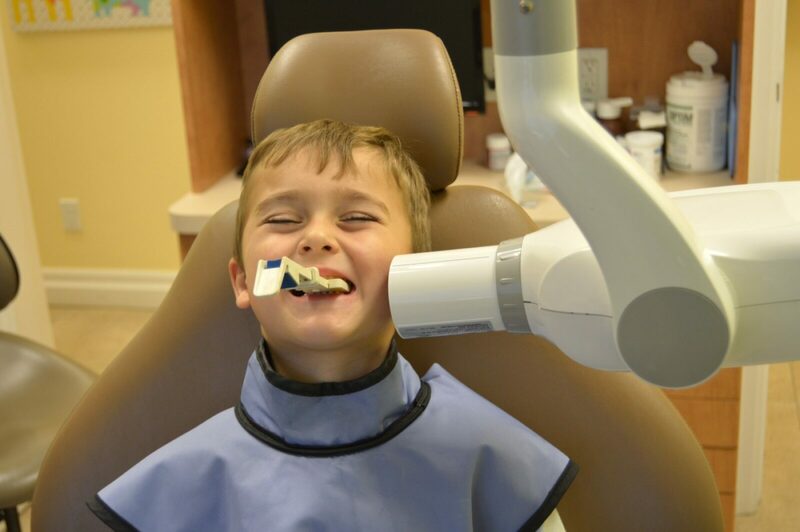 Televisions above the operatory chairs help to keep children comfortable. 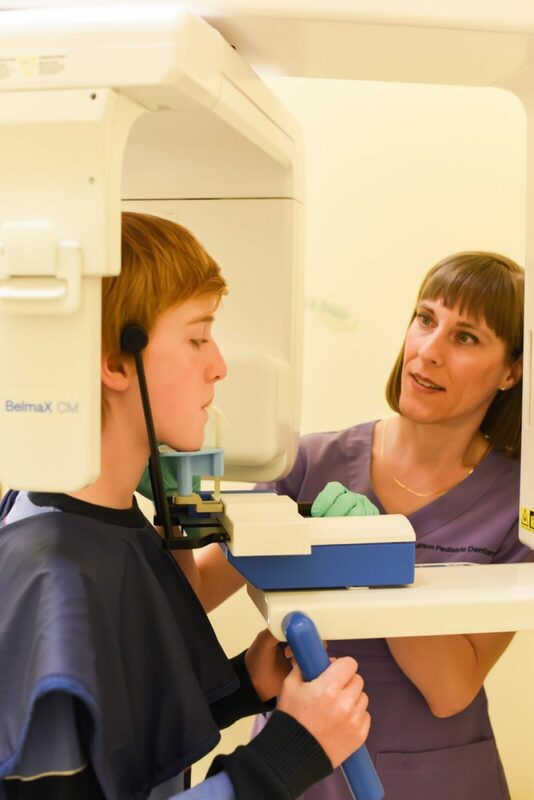 Following the examination, the radiographs (if obtained), findings and treatment are discussed in detail. 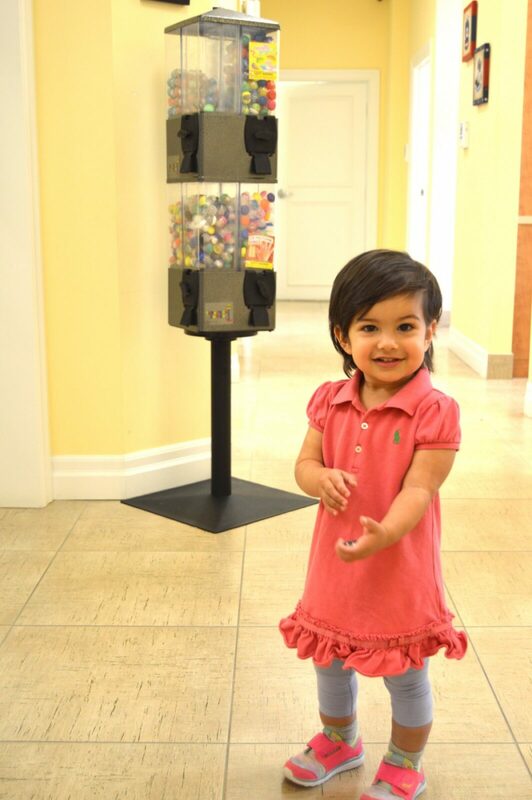 …and a high five for Dr. V too!